This summer, it's all about having more fun and less stress. Period. Ah, summer vacation. Sunshine and iced tea. Long, sultry evenings. The kids riding their bikes until the streetlights blink on. Pure bliss. Then, ten minutes later . . . "Mom, I'm bored." You bite your tongue to keep from yelling, "You know what I'd give to have three months of nothing to do?!" Instead, you calmly suggest an activity that will be rejected out of hand. Then repeat. Sometimes hourly. 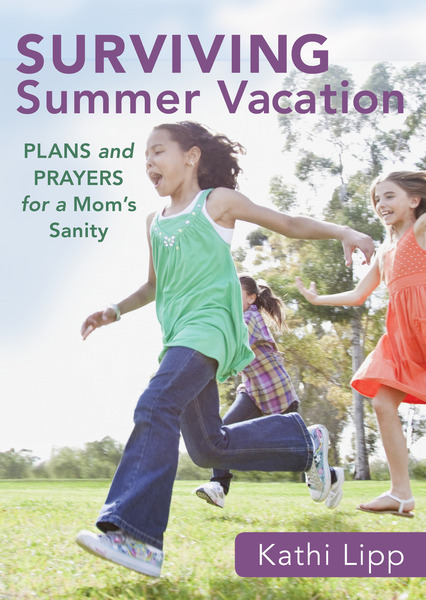 She also gives you short, to-the-point prayers to keep your heart connected to God and your family and includes helpful links to free downloads of a summer calendar, a cookbook for kids, and more.